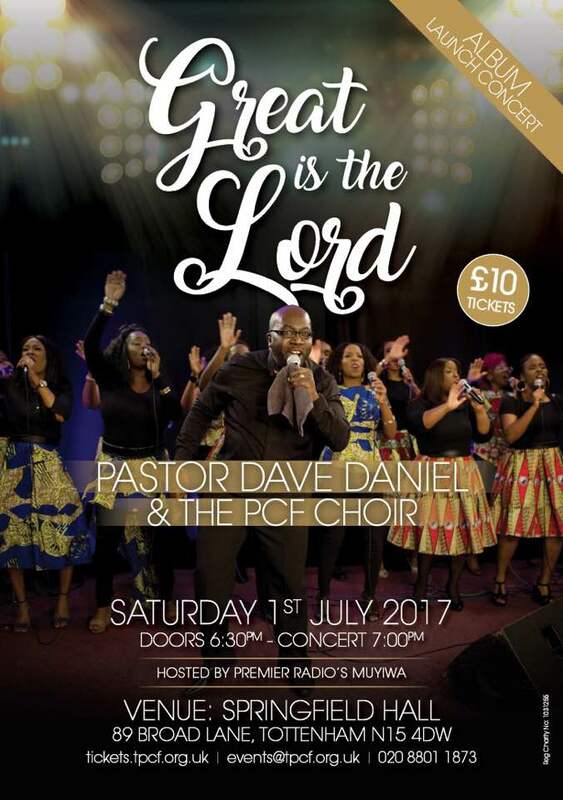 The PCF Choir launch their 2nd album entitled Great Is the Lord with a launch concert on the 1st July 2017. Tickets are available from http://tickets.tpcf.org.uk or directly from PCF Reception. Tickets are £10.00. This event will be hosted by Premier Radio’s Muyiwa.